The Islamic State has claimed responsibility for an attack on an Egyptian navy craft which left it adrift and burning, but not sunk as claimed. 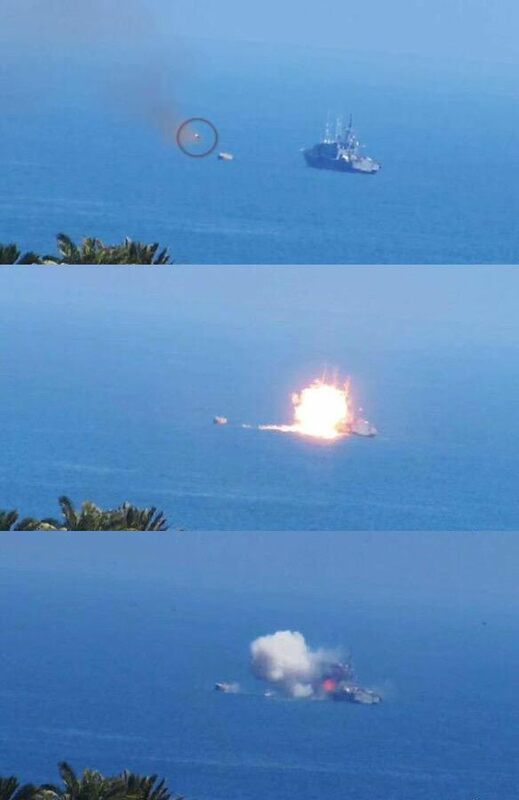 The clash took place at sea on the Egyptian – Palestinian border, with remarkable images showing the moment when what appears to be an Anti Tank Guided Missile (ATGM) striking the fibreglass patrol boat. The boat was engaging militants on shore loyal to the Islamic State at a range of over two miles, when they managed to bring up the missile system and end decisively what up to then had been a gun fight. In stills from a video released by the Islamic State and analysed by Site Intelligence, the ship can be seen to fire no countermeasures or decoys as the slow-travelling missile flies towards it. 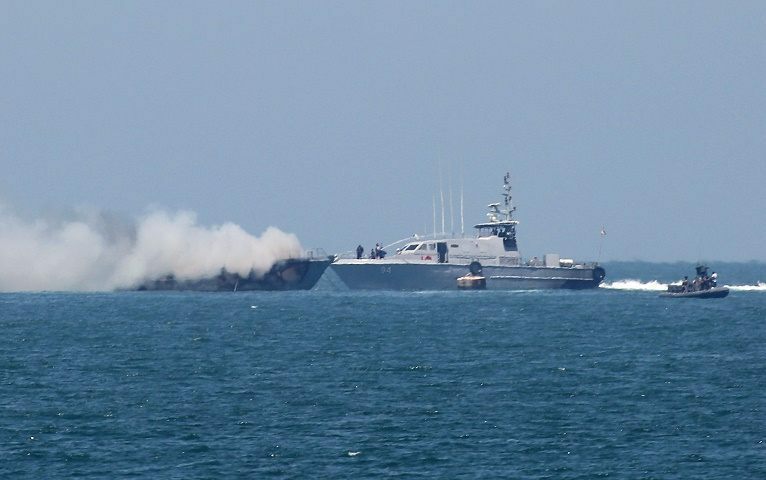 Although the Islamic State claimed to have sunk an ‘Egyptian Frigate’ the patrol boat, which has yet to be identified, was immediately sent aid by other Egyptian naval craft in the area which doused the flames and rescued the crew. Time magazine reports there were no casualties and the craft was a regular visitor to those waters, patrolling the Egyptian border. 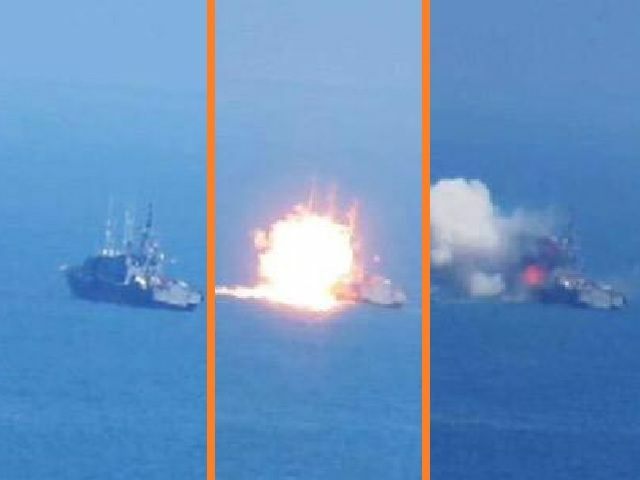 This is the second Egypian naval ship to have been attacked by ‘militants’ in a year. In November, eight sailors were killed after a former American Knox class frigate in service with the Egyptians was attacked, setting it on fire. 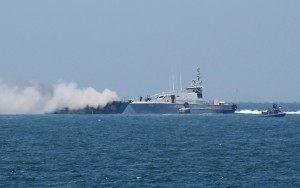 Three craft swarmed the vessel, laying down small arms fire, injuring a further 32 servicemen.